Functional Magnetic Resonance Imaging (fMRI) has been successfully used by the neuroscientists for diagnosis and analysis of neurological and neurodevelopmental disorders. 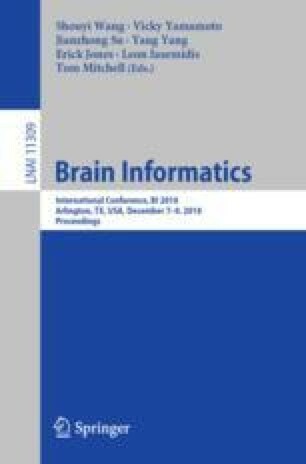 After transforming fMRI data into functional networks, graph classification algorithms have been applied for distinguishing healthy controls from impaired subjects. Recently, classification followed by tensor decomposition has been used as an alternative, since the sparsity of the functional networks is still an open question. In this work, we present five tensor models of fMRI data, considering the time series of the brain regions as the raw form. After decomposing the tensor using CANDECOMP/PARAFAC (CP) and Tucker decomposition, we compared nearest neighbor classification accuracy on the resulting subject factor matrix. We show experimental results using an fMRI dataset from adult subjects with neurodevelopmental reading disabilities and normal controls.